In the digital era, an increasing number of dissatisfied customers turns to brands’ social media outlets (e.g., Facebook brand pages) to vent their frustration following a service failure. This study investigates the circumstances under which a brand’s response to online complaints (i.e., online complaint handling or “webcare”) is able to intervene consumers’ post-complaint inferences about the failure (i.e., failure attributions). Findings indicate that corporate webcare strategies (e.g., no-responses, defensive responses) vary considerably in their ability to alter complainants’ attributions of locus, controllability, and stability. Results, however, also show that this ability depends for the most part on complainants’ earlier experiences with the involved brand: Complainants who had no or only a few bad brand experiences in the past are more receptive to the different types of marketers-initiated webcare (MIW) than consumers with multiple failures. Most importantly, however, this research demonstrates that comments of other consumers (i.e., “brand advocates”) defending the brand with an online comment (i.e., advocate-initiated webcare; AIW) can improve MIW’s effectiveness to mitigate unfavorable attributions. Nevertheless, this can only be achieved when the responses of the two webcare sources (MIW and AIW) are congruent. If well-meant advocates’ responses are incongruent to marketers’ complaint handling strategy (e.g., an accommodative response), disadvantageous failure attributions occur. 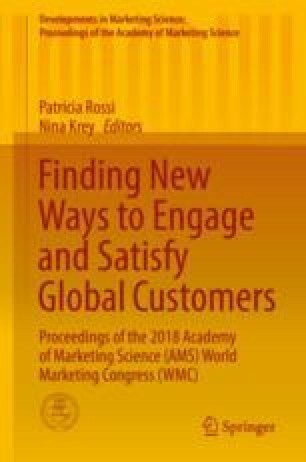 Additionally, this research demonstrates that the three kinds of attributions are key mediators which determine post-webcare customer satisfaction and negative word-of-mouth intentions.